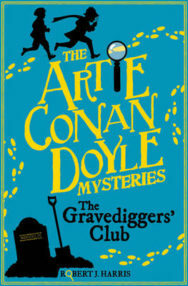 In this exclusive article Robert J Harris explains how he approached writing about Arthur Conan Doyle as a twelve year old – Artie – in his inventive new novel The Gravediggers’ Club. Researching original material such as Conan Doyle’s autobiography and letters from his younger years, Harris was mindful of the need to balance an accurate portrayal while being true to the tropes of children’s literature whereby, as he acknowledges, it is ‘important that the young hero should be the one who wins the victory over the villains’. The Gravediggers Club, a youthful adventure of the young Arthur Conan Doyle, was originally conceived as a follow up to my two novels about the youthful adventures of Leonardo da Vinci and Will Shakespeare. 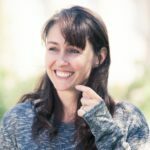 In each case it was important to me that the character should not be merely a miniaturised version of the adult. My teenage Leonardo would not be inventing flying machines and painting perfect pictures. Young Will would not be reeling off plays and sonnets. I was attempting to give an accurate portrayal of what my young protagonist would be like, based on what little information we have and on my own sense of character. In the case of Conan Doyle our main sources are his own autobiography and a number of letters he wrote home during his schooldays, from which we can picture a boisterous, imaginative youth, with a love of sport and adventure. He is no brilliant teller of tales, and he is definitely not a detective in the Sherlock Holmes mould. Yet, as with my other two protagonists, part of the fascination of the story is seeing him take the first steps on the road to becoming the man he will be. There are also a number of general points to be borne in mind when the hero of an adventure has barely reached his teens. The young hero has two main disadvantages compared to an adult hero. Firstly he has no status or authority and so requires a high degree of cleverness and boldness to achieve his aims. There are places he is not allowed to enter, so he must use trickery or disguise to gain access. In the novel Artie gains entrance to an illegal gambling den by pretending to be a replacement for a servant who has called off sick. This means he is always in danger of discovery, which adds suspense to the scene. He also has no right to question people who might have information. Therefore his questioning must be represented as for some innocent purpose, as when Artie questions a gravedigger pretending that his friend Ham is interested in a possible career in this profession. This results in much comic fun. The second main disadvantage is that our young hero cannot physically outmatch the villains when, as in this case, they are all ruthless adults. If it comes down to a battle of strength and numbers the villains must inevitably win. The advantage for the hero is that the villains will inevitably underestimate him, plus his smaller size makes him elusive. To win the day over his more powerful opponents, he must be clever, resourceful and bold. It is important that the young hero should be the one who wins the victory over the villains. It is disappointing if towards the end of the story our young hero is captured and adults must show up to rescue him. He should at least have pulled off a stalemate against the villains before the police arrive to arrest them. Ultimately it is moral courage as much as physical courage that wins the day for our young heroes, and also the strength of their friendship. In many ways it is Ham who becomes the true hero of the story, overcoming his basic disinclination to become involved in such a hairbrained adventure. But to discuss the role of the ‘stalwart companion’ would require a whole other article. 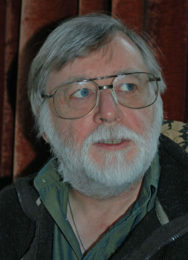 Robert J. Harris is the author of The World’s Gone Loki trilogy and Artie Conan Doyle and the Gravediggers’ Club, both published by Floris Books.